and the standard content page template. Landing page templates are normally only used on web site home pages, the vast majority of your pages will use the default template - the content page. 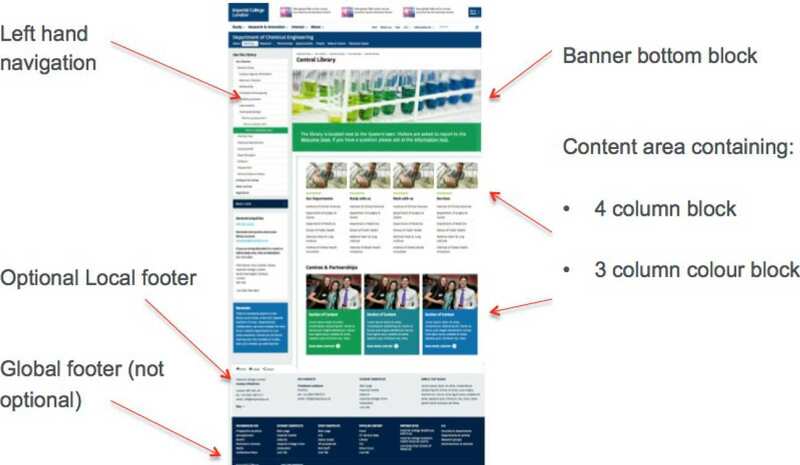 The content page is made up of three main areas where content can be added. Content pages can also be used as sub-landing pages (a secondary main area with the overall section) and the illustration at the bottom of the page shows how the design could be used in this way. Site owners choose a template to create the initial impression of their site, introduce their content and link through to important, related material. Unless a site owner has previously specified, homepages will be set with the template 'landing-page with sidebar' as default. 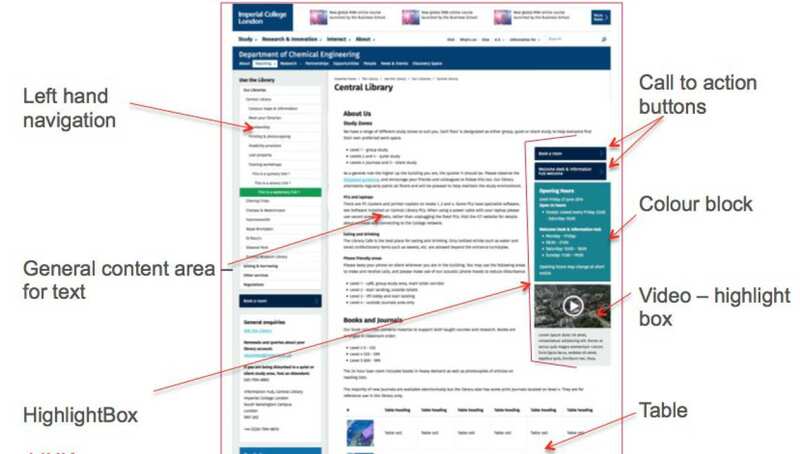 If you are a site owner and you want to choose a different template, speak to your Faculty Web Officer. Landing pages are designed to be at the top level of your pages (i.e. a ‘homepage’). You will have just one of these pages, and its navigation banner will be replicated across your sub-pages. To aid navigation to content lower down within the section, or in a related section.